FOR LEASE Market Place Center. Development parcels available for land lease at the intersection of Route 390 and Hylan Drive. 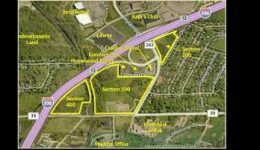 Adjacent to Market Place Mall and Monroe Counties most vibrant retail corridor. Fronts on Route 390 at Hylan Drive. Minutes from the NYS Thruway.